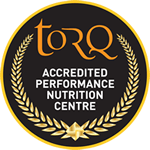 We’ve been wanting to write this article for some time, because having been fitness consultants and coaches for many years, there are certain misconceptions that spring up from time to time that, in true TORQ style, we’re going to take the time to deal with on the pages of this website. This time we want to answer the question: Do you actually get a boost from an energy product? 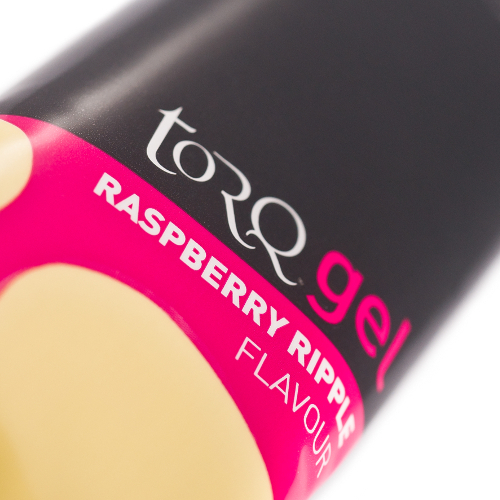 At TORQ, during our travels, we’ve heard remarks many a time along the lines of ‘I took a gel at the bottom of that big climb to get me up it’ and ‘I was feeling a bit low, so I took a gel and it really perked me up’. I’m sure you’ll have heard these kinds of things mentioned too, or perhaps you’re one of these people who have actually felt a boost from a product? As you read on, you’ll discover that if you are one of these individuals who ‘feels a boost’ from an energy product, it’s highly likely that you’re doing something fundamentally wrong with your nutrition. Don’t take offense, because there’s a significant lack of education out there and, although you might feel that you should have known better, after reading this article, at least you will know better. There’s plenty of misinformation pedalled in the media and often even many so called fitness experts can be misinformed, or promote their own ideals, instead of communicating the basic physiological reasons for fuelling whilst exercising. Let’s face it too, many manufacturers might even benefit from your belief that you do get such noticeable effects from their products. We want you to be in full receipt of the truth so that you can make the right decisions and product choices moving forward. 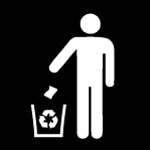 If our energy products are used properly and the user makes an effort to understand how to use them correctly, they can offer huge performance benefits, but we’ve never been interested in selling a myth to individuals who aren’t going to receive the payback. If this article doesn’t clarify any of these points, just pick up the phone and call us on 0344 332 0852. To get straight to the point, you should only ever feel a noticeable boost from an energy product if, either it contains significant levels of caffeine (a psychological stimulant and not an energy provider in any way), or if you’ve run out of carbohydrate (commonly called ‘Bonking’ within the UK cycling fraternity or ‘Hitting the Wall’ in marathon running – the Irish call it ‘The Knock’). If you understand how to fuel properly, you should never feel a boost from an energy product, just sustained high intensity endurance performance from gun to tape. And you should never Bonk! Firstly, let’s discount caffeine, because if an energy product contains caffeine, it incorporates a nervous system stimulant and, if you’re the kind of person who gets a psychological boost from drinking a strong coffee, you’re going to get the same kind of effect from a caffeine-containing energy gel or drink. Caffeine is present in some energy products and not others. We only use caffeine in 2 of our TORQ gels (Banoffee and Forest Fruits with guarana) so that you can choose when to feel this effect. It’s not present in any of our energy drinks or bars. Caffeine can, however, be present in varying doses across all product types where other brands are concerned. Caffeine represents a tiny proportion of any energy product (we’re talking milligrams) and it does not deliver energy, just psychological stimulation, along with other psychophysiological benefits, which we don’t have the space discuss here. With caffeine removed from the mix, let’s move on to address the carbohydrate that’s contained within energy products. Carbohydrate does contain energy – 4 calories per gram in fact, yet the only reason an intake of carbohydrate whilst exercising would give you a physiological boost would be if your blood sugar was very low. The only reason for low blood sugar during exercise would be if your internal stores of carbohydrate (endogenous carbohydrate) had run dry, or at least run very low. This describes the ‘Bonk’ experience and it represents a pretty catastrophic set of events. When your endogenous stores of carbohydrate have run out, your metabolism will grind to a halt with a subsequent performance nosedive. Intake of an external source of high GI (Glycaemic Index) exogenous carbohydrate, such as a gel or energy drink, at this point will rescue you from the brink, but your high performance output is finished! As your brain is entirely regulated by blood sugar, feelings of faintness and nausea will quickly disappear and you will crawl home at the rate that your body can absorb the carbohydrate you’re eating. Is this an energy boost? We don’t think so – we’d refer to it as ‘First Aid’. The big problem with using energy products to recover from a bonk is that at best (if you’re using 2:1 Maltodextrin:Fructose like TORQ), you will be able to absorb and use a maximum of 90 grams of carbohydrate per hour. To fuel the kind of performance you were achieving before the bonk, you will need considerably more carbohydrate than this, so your performance will be very much restricted to the level that your exogenous supply of carbohydrate is able to fuel.  This leads us to the fundamental principle of fuelling which is – it’s better to have a nutritional strategy whereby you aim not to bonk in the first place. So, we’ve established that you will get a ‘recovery from the brink’ from carbohydrate-containing sports nutrition products if you’ve bonked, simply because there’s no endogenous carbohydrate left in your body to use and physiologically you’re in a pretty desperate state. There’s a significant flaw to this strategy however, because after the bonk, you’re literally going to be running on the fumes of exogenous carbohydrate intake and this intake will not be sufficient to fuel a solid performance. Your pace will drop off considerably and your pace will be entirely governed by the amount and regularity of your exogenous carbohydrate intake. Should exogenous carbohydrate give you a boost? The answer is absolutely ‘No’. If you’re in a position whereby you feel a boost from an energy product, you will have bonked and therefore, for reasons that we will now explain, you will have misunderstood the virtues of energy products and for want of a better term, you’ll have done it all wrong! Blood glucose is regulated during exercise through the release of stored glycogen from the muscles and liver, so whilst this carbohydrate is available from the body’s stores, any intake of exogenous (external) carbohydrate sources, be they energy gels, bars or drinks, will have no significant effect on physical performance at that time. All this supply of exogenous carbohydrate really does is provide the body with an alternative fuel source to use instead of the on-board endogenous glycogen stores. There is no significant performance boosting effect. If you’re well rested and have consumed a decent amount of carbohydrate through your regular diet, you will start your important training session or race with about 2,000Kcals of endogenous carbohydrate, stored as glycogen within your liver and muscles. This will be sufficient to provide you with approximately 1.5 hours of solid high intensity power, or perhaps 2 hours at a slightly lower power output, or perhaps as little as only 1.25 hours if you’re exercising at your limit (at anaerobic threshold). Once these 2,000Kcals have been used up, you will bonk and your pace will be restricted to a crawl. What is absolutely vital to understand is that every single gram of carbohydrate you consume exogenously through energy drinks, gels or bars from the moment you start exercising is going to be burnt by your body preferentially over your internal endogenous stores. Therefore, it stands to reason that the more exogenous carbohydrate you can consume, the less of your stores you are going to use and the longer you will be able to sustain high intensity exercise before you bonk. It is understanding this concept that is absolutely fundamental to understanding how and why you should use energy products. You’re not taking them to give yourself a boost, you’re taking them to prolong the period that you can sustain high intensity endurance exercise for. The key is not to wait until everything goes wrong and use energy products to drag you home (which they will do in a fashion), but to start consuming carbohydrate from the moment you start to exercise with one goal in mind – to preserve your endogenous carbohydrate stores, because once they’re gone, it’s all over! The other important piece of information to understand is how much carbohydrate it’s possible to consume per hour. If it were simply a case of ramming as many carbohydrate sources in through your mouth as possible, no one would ever run out of energy, but unfortunately it’s not as simple as that. Research has proven that glucose-based sources of carbohydrate have an absorption limit of around 60grams per hour. If you try to exceed this level, you will initially get stomach discomfort and if continued intake is forced, you will not be able to physically eat and will undoubtedly vomit and spray your over-filled fuel tank all over the floor, yourself and your bike (if you’re a cyclist). 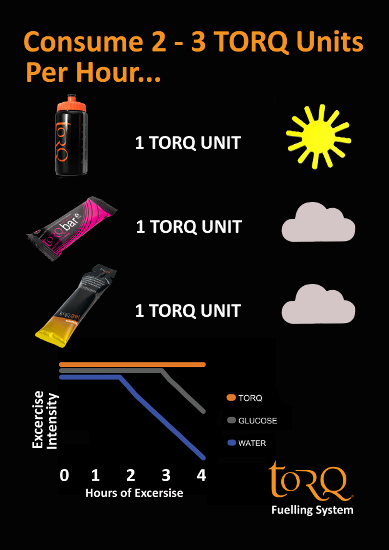 One of the huge advantages of using TORQ over other nutrition brands is that all of our fuelling products utilise recent research, which has demonstrated that combining glucose and fructose derivatives in a 2:1 ratio allows the absorption of 40% more carbohydrate (90grams per hour) than using products that only contain glucose (60grams per hour). This is achieved through the dual transportation of fructose and glucose across the gut wall. Based on the discussions above, it should be clear what a huge advantage this extra 30grams of carbohydrate delivery per hour means. It’s 30grams of carbohydrate per hour that is not being burnt from your endogenous stores and therefore there’s a definite and distinct performance advantage to using 2:1 Maltodextrin:Fructose over pure glucose or maltodextrin based formulations. Incidentally, maltodextrin is a special form of low osmolality/high GI glucose. There are many different types of maltodextrin too, so they are not all the same, but we won’t cover that here. The correct use of maltodextrin has significant advantages over glucose and dextrose, but it’s the integration of fructose into the formulation that makes a huge difference. Avoid fructose-only formulations like the plague, because these will perform significantly worse than even glucose-only recipes. It’s 2:1 where the research has focussed. To summarise then, formulations based on glucose-only derivatives will deliver a maximum of 60grams of carbohydrate per hour, whereas 2:1 Maltodextrin:Fructose will deliver 90grams per hour. It’s worth also noting at this point that if you choose to consume only 60grams per hour via a 2:1 Maltodextrin:Fructose formulation, you would be taking on board 30grams less carbohydrate than your tolerance threshold (90grams), so this is a very safe ‘stomach friendly’ approach to fuelling for those who haven’t followed a structured approach before. Clearly, at 90grams of carbohydrate intake per hour, you will be pushing your absorption capabilities to the limit and this may take some practice. If you were to consume 60grams per hour of carbohydrate derived from glucose-only sources, this too would also be pitched right at your tolerance threshold, so can you see how a 2:1 Maltodextrin:Fructose formulation not only allows for a higher delivery of carbohydrate per hour, but is also much easier to absorb at levels where glucose-only products would be struggling? We would always recommend that newcomers to fuelling start with 60grams of carbohydrate per hour through TORQ products and then practice with 90grams per hour until they are confident they can absorb these levels. This ensures that at 60grams, they are receiving a good level of fuelling, but don’t run the risk of pushing their digestion anywhere near their physiological limit. With experience, they can progressively push ingestion upwards from 60 to 90grams during training sessions to achieve optimal fuelling. To give you a picture in your mind of what is actually happening from a fuelling perspective when you consume exogenous carbohydrate during exercise, imagine a mobile phone plugged into a USB lead on your computer to charge, but the charge coming from the USB port is less than the phone is drawing through the Apps, GPS and 4G surfing you’re doing on the internet. What will happen here is that there will be a slow net drain on the battery, because the trickle from the mains won’t be sufficient to replace the power you’re using, but the phone will go dead and run out of battery much later than if it wasn’t plugged in to your computer at all. This is basically how fuelling works during high intensity endurance exercise and the higher the intensity, the greater the net drain to your carbohydrate stores. The net drain would obviously be significantly higher in the absence of any exogenous carbohydrate consumption and the diagram below illustrates this very clearly – performance by the water consumer matches the performance of the carbohydrate consumers until their endogenous glycogen stores run out and then it’s literally all over. What if your diet has been poor leading up to the session and your endogenous glycogen stores aren’t fully loaded? It stands to reason that you won’t have enough internal fuel for 1.5 hours of high intensity exercise doesn’t it? What if you exercised hard yesterday on full endogenous glycogen stores without fuelling during your session and want to do the same today? You might have got through yesterday’s session without fuelling, but you might struggle to get through today’s. Fuelling during yesterday’s session would have left your endogenous glycogen stores less depleted, so you would be in a better position for high intensity exercise today. We have a saying here at TORQ, which is Eat today for tomorrow. It means that if you know that you’ve got a daily routine to maintain, you need to make sensible dietary choices and fuel your sessions properly if you want to maintain the quality of these efforts day after day. It’s not just about fuelling longer sessions, you need to consider the cumulative effect of short high intensity sessions too. It also seems appropriate to mention generally low carbohydrate diets here too, because these seem to go in and out of vogue every decade and are massively misunderstood. For the vast majority of people, a low carbohydrate diet (which means high protein and fat) will leave you feeling lousy and unable to perform anywhere near you best. If you’ve read this far, you should have a pretty good idea of how important carbohydrate is from a fuelling perspective, so if you remove it from your diet, you’re going to bonk very early on in your exercise session and your dependence on energy products will be significant. At the same time, you will still not be able to perform at the level of your counterparts who consume a carbohydrate-rich diet, because you’re entirely dependent on an exogenous supply. There are some occasions where ‘fasted training’ or training on a low carbohydrate diet can bring some advantages, but this area is very complex and we are exploring the research continuously. We will be in a position very soon to be able to provide you with our standpoint, but one thing’s for sure – you’re really going to have your head screwed on, because for the vast majority of people, incorrectly programmed fasted training will bring misery. 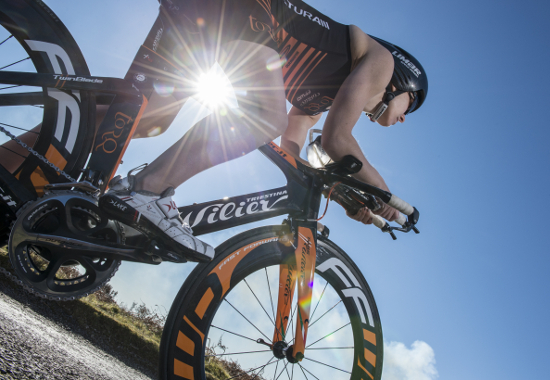 Even then, you will still need to optimally fuel certain sessions and race performances. Finally, just a quick word on fat. The reason you won’t find fat in energy drinks or gels is because fat is a serious enemy during exercise. This is not to say that fat in the diet is bad per se. On the contrary, it’s vital that a healthy person obtains plenty of good fats (the essential fats and fat-soluble vitamins A,D, E and K) to maintain proper health and immunity, but during exercise is not the time to take them. Even the leanest of individuals have enough fat stored around their organs and under their skin to fuel themselves for days of exercise and it’s just as easy for the body to mobilise these stores as a fuel source as it can from dietary fat. So, clearly we don’t need an intake of fat during exercise anyway, but that aside, fat mixed with carbohydrate will slow the absorption of carbohydrate dramatically, so you can forget any prospect of taking onboard 60-90grams of carbohydrate per hour if you mix fat with it. It will cork you, you’ll feel sick and you’ll bonk! Not a nice prospect. There’s a good reason why energy drinks and gels don’t contain fat and there’s also a good reason why energy bars shouldn’t either, but it’s the bars that many manufacturers seem to treat differently. 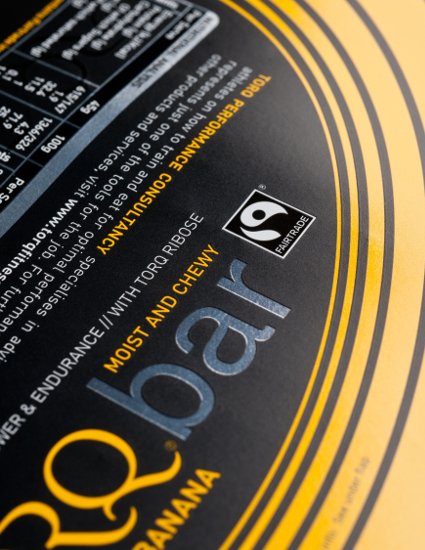 A TORQ bar for instance has been designed with this in mind and each bar contains only 1 gram of fat. You would have to eat 5 TORQ bars (over 600kCals) to consume the same amount of fat as in 1 chocolate digestive biscuit. We have thought about fat content, but seemingly many other manufacturers haven’t. Check the fat content of various bars yourselves. If it has chocolate on it or in it, you can guarantee it won’t be low fat for starters. It might sound appealing, but it won’t work. Low fat is key. I hope this article has convinced you that correct energy product usage should not give you a boost. Quality energy products are an extremely useful fuel source which, if used properly, can significantly enhance performance on long exercise sessions by sparing your vital endogenous stores of carbohydrate. They will also preserve your endogenous carbohydrate stores during shorter sessions so that you can train more frequently without the risk of ‘Compound Bonking’. Energy products will of course help to get you home if you do bonk, but if you find yourself in this situation, you’ve done it all wrong. There is absolutely no excuse for hitting the wall at all. Start fuelling immediately after you start exercise and maintain a strong exercise intensity to the end of your session or event. 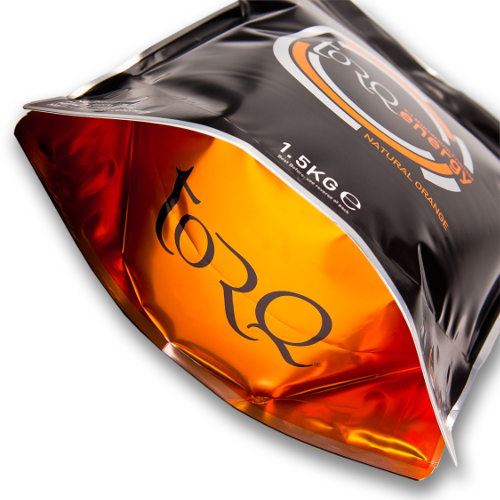 Fuelling with 2-3 TORQ products per hour is all explained on the TORQ Fuelling System page.